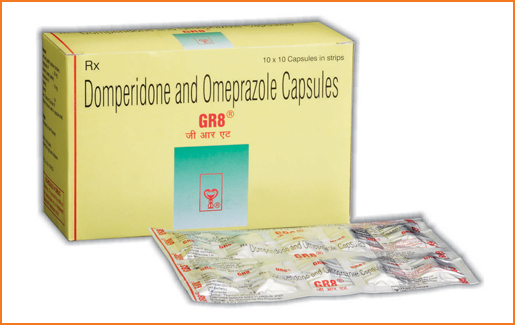 Omeprazole IP ................................................... 20 mg.
Domperidone I.P. ................................................ 10 mg. In the management of nausea and dyspepsia associated with Gastro-esophageal reflux disease; Erosive esophagitis; Gastric and duodenal ulcers.